Five Offerings–One Perfect Sacrifice: Jesus, The Lamb Of God! Everything in the New Testament can be found hidden somewhere in the Old. Everything hidden in Old has a New Covenant application. We no longer offer bulls and goats because Jesus was the perfect sacrifice to end them all. We also no longer do we look to the Old Testament to find laws, laws, and more laws, but to bring out the spirit of the Law: To see Jesus! How do these offerings apply to us who are under the New Covenant? That’s what we are going to study. In the five offerings of Leviticus we have seen beautiful, detailed, and sometimes very graphic pictures of Jesus: What He did for us at the cross and what He suffered. 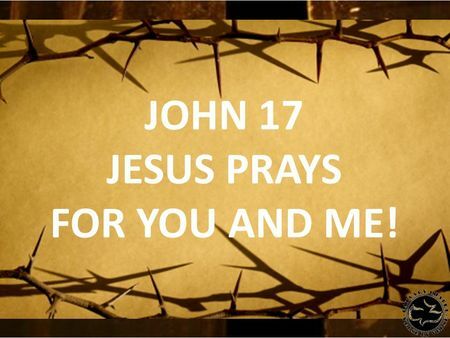 Jesus’ high priestly prayer in the opening verse prayed to His Father for you and me. His earnest desire was “That they may know You, the only true God, and Jesus Christ whom You have sent.” John 17:1-2. The Apostle Peter wrote, “Grace and peace be multiplied to you in the knowledge of God and of Jesus our Lord,” in 2 Peter 1:2. Studying all these things causes us to “grow in the knowledge of God and Jesus Christ, Whom He has sent,“ causing grace and peace to be multiplied in our lives as a byproduct! How These Offerings Apply To Us. Under the New Covenant, believe it or not, we still offer the Burnt offering, Grain, and Peace offerings. We no longer offer the sin and trespass offerings, however. What would offering the last two look like today? Let’s say you really messed up and you promise God that if He gets you out of this mess, you’ll serve Him for the rest of your life. That’s like saying you want to DO something to pay for what your sin. But in effect, you are actually saying that what Jesus did at the cross was not completely effectual. It is trampling on His blood. Church, there is nothing you can do to earn forgiveness for anything. It’s a free gift offered to you freely. If you could earn it, that would be a reward, not a gift. All you can do is confess your sin, thank Him for the forgiveness that was already supplied for your WHOLE LIFE the day you were saved, and ask Him to help you improve in your area of weakness. By accepting Christ as our Savior, He has taken care of our sin nature (what we are) and our sinning (what we do) once and for all. We walk through life with His covering…remember the hide of the bullock…and thus have the same acceptance, “Radzon,” before God as Jesus. Does that mean we walk through life perfectly, doing no wrong? Of course not; but as we occasionally sin, those thoughts, words, and deeds are ALREADY COVERED. Therefore we don’t pray TO BE FORGIVEN; we confess our sins because we already ARE. Instead of offering bulls and goats, our praise to God with the “calves of our lips” are the “sacrifices we offer to God! “A Sweet smelling aroma.” Hmmm…..Sound familiar? That’s what God smelled when Noah offered his Burnt Offering. And what was the result? God vowed He would NEVER destroy the whole world with a flood ever again. The secret to successfully walking through life as a believer is found in these two verses. Both Jesus and the Apostle Peter clearly show us what that secret is: “To know You (the Father) and Jesus Christ, Whom He has sent.” By increasing in this knowledge, both grace and peace (shalom) WILL BE MULTIPLIED TO US. I WANT THAT! Shalom: A Very Rich Word. Grace is “unmerited favor.” Peace: “Shalom in Hebrew, in Greek: “Soteria,” is a very rich word. It is wholeness in every area: Peace of mind, which includes freedom from fear, prosperity in your life, in your relationships and in your finances, wholeness in your mind and in your emotions. These things are “MULTIPLIED” to you as your knowledge of Jesus increases. Why We Study These Offerings. Can knowledge of these things help you in your daily Christian walk, when the heat is on? Can they help when you are sick, when challenges in life rise up, or when us or your family is under attack by the enemy? Yes, because you are INCREASING IN YOUR KNOWLEDGE OF JESUS! 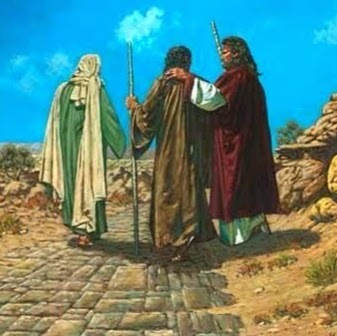 The very first record of Jesus appearing to His disciples after His resurrection was on the Emmaus Road. He went through all the Law and the Prophets and explained to them “All the scriptures CONCERNING HIMSELF.” And what was the effect? They were so encouraged and so energized they practically ran all the way back to Jerusalem! Folks, that a seven-mile trek…..and it was nearly dark. Amazing! That’s how excited they were. That’s how energized they were. And the first thing they wanted to do was share Jesus with their fellow believers! This is a big secret for all you pastors out there. Show your people Jesus in all the scriptures. Bring out Jesus in the Old. Show them where the New is hidden in the Old. I guarantee you your Church will grow so much, you will have to add on! And you won’t have to tell your people to go out and evangelize; they won’t be able to shut up! Fighting The Fight Of Faith. Another perk of studying the Old Testament and seeing Jesus in all the scriptures about Him helps us in fighting the good fight of faith. 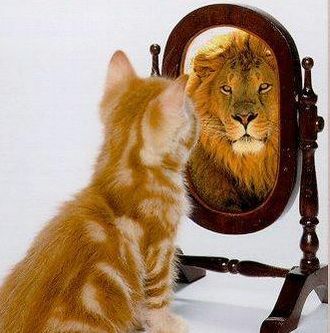 That’s how you “resist the devil” so he will flee from you: Speak out the word of God! And how does the word get in your head so it comes out of your mouth? 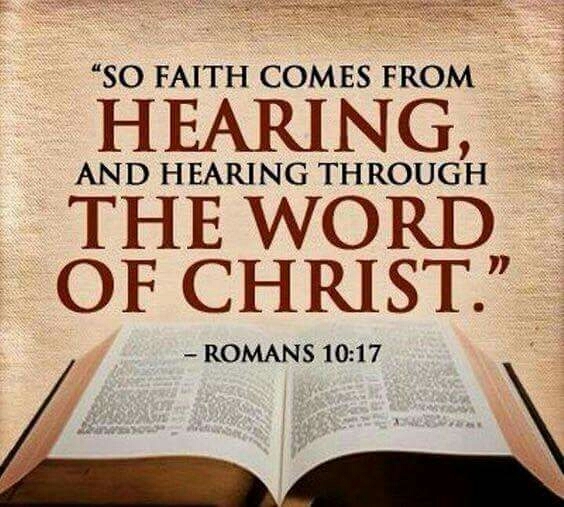 Faith comes by “hearing, and hearing by the WORD OF GOD.” When life happens, the Holy Spirit brings to mind what you have “heard.” He cannot, however, bring to mind that which you have not heard. We need to hear, and hear, and hear, and keep on hearing. As you hear by studying God’s word, you are changed. You become calm in stressful situations because you are resting; you are seated in Christ. You understand how to guard your heart so it doesn’t fail you because of fear. Your calm demeanor is a witness to your family, your friends, and your colleagues. Jesus said you will “Be witnesses,” not that you will “DO” witnessing.” By “hearing” you are transformed because you are beholding Jesus. You go see Him in all the stories, types and shadows that you are studying now, like looking at Jesus through an expanded view! You see, while the doctrines of our faith are found in the New, the details are in the Old. Now, when you read through this book of laws, you’ll be able to see Jesus in the details of these amazing Five Offerings of Leviticus.